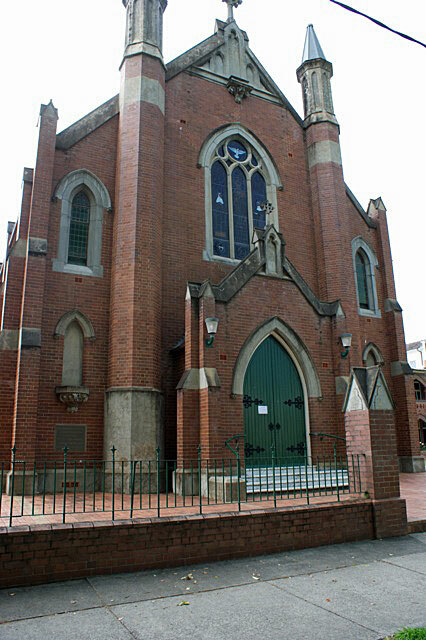 Following the destruction by fire of the old St Mary's Church in 1913, the foundation stone for a new church was set on 18 January 1914.1 The new St Mary's was completed before the end of the year to the design of architects, Eaton and Bates of Sydney.2 For the new church, an instrument of two manuals and eight speaking stops was ordered from the British Pianoforte Depot Ltd, Sydney. Opening of the New R.C. Church.
. . . 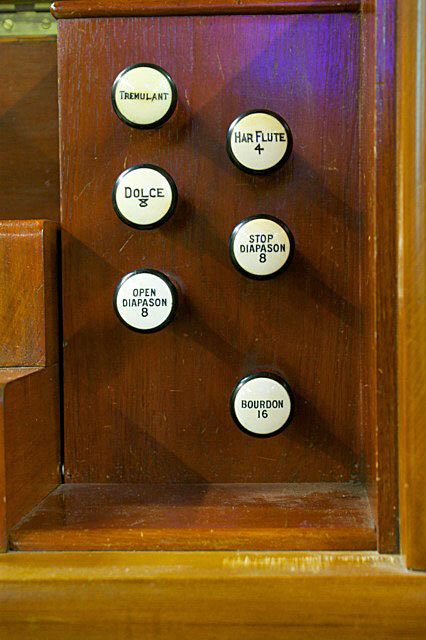 Immediately after the addresses a splendid musical programme was begun by Mr. T. H. Massey, who gave with grand effect, and which showed the wonderful capabilities of the new organ, Rossini's overture, "Semiramide," and then a delightful number, " Andantino," by Lemare. Mr. Mario Foldi sang with organ accompaniment in grand voice "Nazareth," "Gio Conda" (Ponchielli), Moskowski's "Seranata," and Dvorak's "Humoreske," all of different styles and clearly giving opportunity to the master hand of the player. Mrs. Oswald Rienits, whose sweet voice filled the church with unexpected volume, sang delightfully and with perfect enunciation Handel's "Where'er Ye Walk." Restored by Peter D.G. 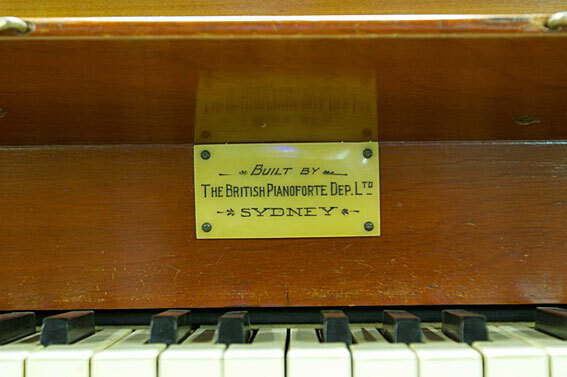 Jewkes Pty Ltd in 1995, the organ remains one of the most original examples of the work of the British Pianoforte Depot Ltd. 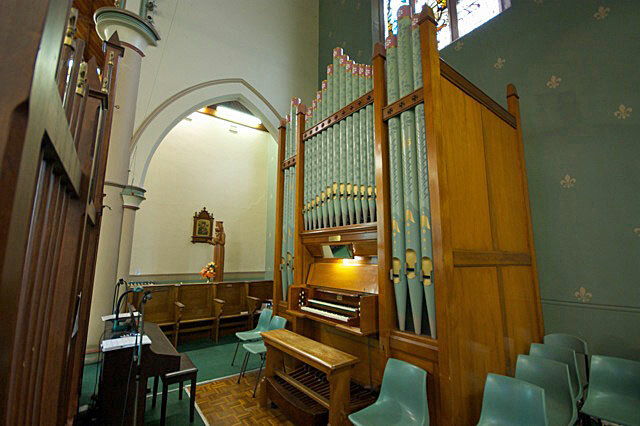 The specification is almost the same as that of the firm's instrument built around the same time for St Mary's Catholic Church, North Sydney, which has since been altered. 1 The Catholic Press (15 January 1914), p. 41. 2 The Sydney Morning Herald (2 December 1913), p. 6; Clarence and Richmond Examiner (Grafton, 23 July 1914), p. 5. 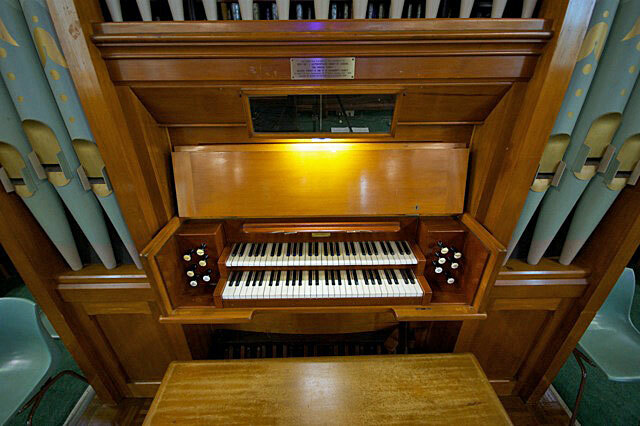 3 Graeme Rushworth, Historic Organs of New South Wales: The Instruments, Their Makers and Players, 1791-1940 (Sydney: Hale & Iremonger, 1988), pp. 149-156. 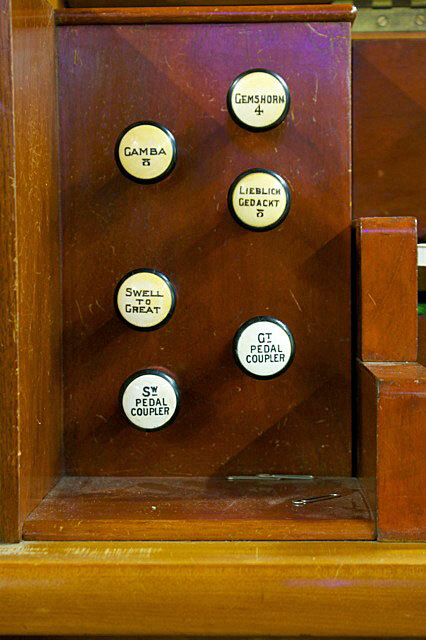 4 John Maidment, Gazetteer of New South Wales Pipe Organs (Melbourne: Society of Organists, 1981). 5 Clarence and Richmond Examiner (Grafton, 7 November 1914), p. 4. 6 Clarence and Richmond Examiner (Grafton, 21 November 1914), p. 4. 7	Clarence and Richmond Examiner (Grafton, 28 November 1914), p. 2. 8 Rushworth, op. cit., p. 155. 9 Ian D. Brown and Associates Newsletter (December 2017), pp. 3-4, rpt. in The Sydney Organ Journal, vol. 49, no. 1 (Summer 2017-18), p. 45.